NEW YEAR, NEW PRICE!!! Southern Living Charm at its finest! This beautiful custom home is set on 15.62 acres and boast over 5200 sq ft of finished space with beautiful details & woodwork thru out! Home features a beautiful 2 story foyer, grand formal rooms, 2 story family room w/wet bar, builtin cabinetry & wall of windows, large eatin kitchen, 1st floor master suite, 2 powder rooms and utility/mud room on the 1st level and 3 generous bedrooms, two additional baths each with separate tub & shower, loft area, 2nd utility room on 2nd level! The 3 car garage is attached by a breezeway and has a full, unfinished walkup storage. Upgrades include 10 ft ceilings on 1st level, 9 ft ceilings on 2nd level, hardwoods & tile throughout, beautiful mouldings, subzero frig, Thermador 6 burner gas stove, granite, prep sink, ample closets & storage, central vac, bosch dishwasher & intercom, wide front porch & 46′ x 16′ deck! Additionally there are 3 large detached outbuildings that are perfect for your animals, equipment, storage, etc! Home is perfect for both formal and casual entertaining inside and out! This is truly a rare find with limitless possibilities and a great place to call home! 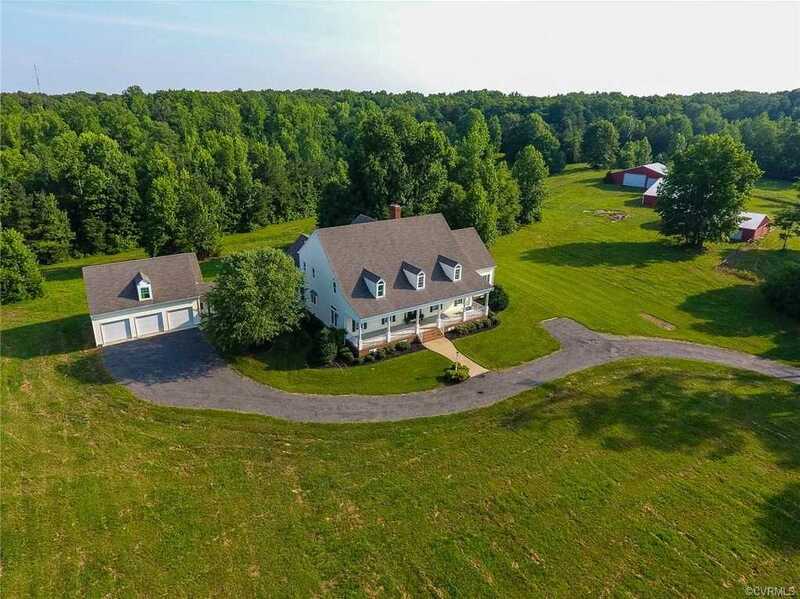 Please, send me more information on this property: MLS# 1822862 – $875,000 – 15577 Stone Horse Creek Road, Glen Allen, VA 23059. I would like to schedule a showing appointment for this property: MLS# 1822862 – $875,000 – 15577 Stone Horse Creek Road, Glen Allen, VA 23059.